Home /latest_news, Public Lands/Interior pick Zinke: Western warrior or Green Decoy? Green Decoys: Activists or organizations which adopt the appearance of rugged individualists; hunters, sportsmen, anglers, etc., but are, in fact, fronts for extreme green foundations pushing radical, anti-development ideologies and the increased federal control of lands, waters, and natural resources. 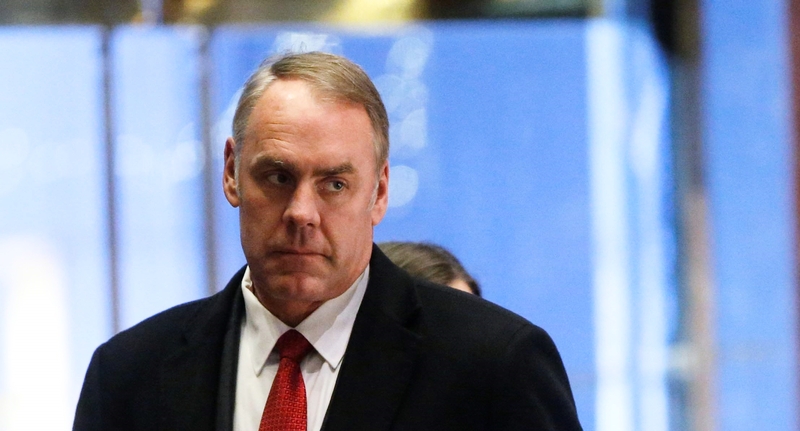 On December 14, the first news feed I saw on the Secretary of Interior position was a report which said Democrats were thrilled with the selection of Republican Congressman Ryan Zinke of Montana. Wait a minute…I thought Congresswoman Cathy McMorris Rodgers was going to be the selection for the very important Secretary of the Dept. of Interior. What happened? My research confirmed that Rep. Ryan Zinke was indeed the choice for Dept. of Interior. With further research, I felt like we in the agriculture and ranching sectors had been sucker-punched. One comment from a respected source infers Ryan Zinke may be Green Decoy. Zinke was a delegate at the Republican Convention in Cleveland this past July, as I was. Reportedly Zinke walked out of the Platform Committee meetings because he did not like wording in the GOP Platform which encourages increased state and local involvement in public land management. Public lands in the West are still under federal control, which puts a strangle hold on the Western states. Everyone who lives close to lands and resources under federal control must deal daily with constant mismanagement and the effects of bad policy by Dept. of Interior (Bureau of Land Management) and Dept. of Agriculture (Forest Service). Many employees of these agencies are completely out of control. More research revealed Zinke has no background in agriculture or natural resources, except two years in a Congressional subcommittee on minerals. He has no on-the-ground natural resource experience. He has also made comments on Second Amendment issues which I find concerning such as, ‘Nobody needs a 50 caliber rifle.’ One does not just take arbitrary exceptions to the Second Amendment. He also supports the Blackfeet Water compact. Although radicals in the environmental movement love Zinke’s positions on these issues, none of his positions are beneficial to rural America. Those of us in agriculture; farmers and ranching families in the West, saw a light at the end of the tunnel with the election of Trump. I was very hopeful when McMorris Rodgers was considered for Interior pick. She has a ranching background and knows firsthand what it’s like to deal with hostile federal agencies such as the BLM and USFS. As of the writing of this I have not heard if Zinke has accepted the position, and I hope he will not. I hope the Trump team encourages him to decline. It is time now to contact your state Republican party and encourage President-elect Trump to bypass Zinke and reconsider other excellent choices, such as Cathy McMorris-Rodgers. Ask your GOP State National Committee men & women to voice concerns about Zinke to the RNC now! Encourage anyone with influence in the Trump camp to listen to the concerns from those of us in the West, whose lives are negatively impacted by federal control of lands and resources, about Ryan Zinke, a less-than-qualified candidate, who may very well be a Green Decoy. Her offices include: Chairman for the Baker County, Oregon Republican Party. This is very true. Ryan Zinke is about more federal management of the lands and resources. He’s about more big government control and less state and local control. This is the most important pick the Trump administration can make for ranchers and farmers. If the administration picks Zinke which they probably will it will effect farmers and ranchers negatively. We need to contact anybody and everybody and let them know the west don’t stand for this. Wow, thanks for the “red” light warning, on the green decoy. I am surprised, they wouldn’t be more careful on this absolutely critical position. This sums it perfectly. Zinke calls himself a “Teddy Roosevelt” conservationist. We can thank Teddy Roosevelt for the Antiquities Act and the growth of the executive branch in ruling over the west. Green decoys use the word conservation to disguise what they really mean (big government and more regulations). I had just started to hope that Trump was going to turn things around. This pick confirms my earlier suspicions of his bid government tendencies as they pertain to land management out west. Green decoys are creating a critical divide between true sportsmen and ranchers/farmers. It’s time to see through their deception. It’s absolutely critical that true sportsmen and ranchers and farmers all realize they are on the same team. Sportsmen need to recognize these groups for what they are. They need to recognize the information provided by these types of groups withholds important context and twists/misinterprets data. If not, they will find themselves with less freedom to enjoy the land they love.